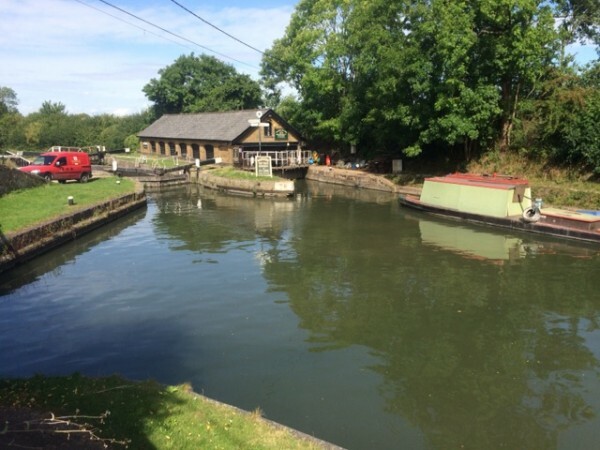 Saturday was dry and so we took a walk along the Grand Union Canal, only a few minutes walk from the site, south and then up to Ashridge National Trust site. We often cycle here for a coffee and cake at Brownlow’s Cafe. Return route was via Aldbury and managed to grab a Geocache that had eluded us on our last trip and a pint at the Grand Junction, Bulbourne. The only bad thing of the day was June’s huge blister on her heel… The boots, although newish, had never given grief before so it may have been down to the socks….